[iPhone OS App] Ever playback a video on your telly and realise that you have to consistently walk to and fro to control the computer? I do. A 42” Plasma has just replaced a 29” CRT in my living room and my family is watching quite abit of Taiwanese Variety Show I got off the Net. Logitech Touch Mouse can be the solution. Booting up the app you will find PCs with the software installed appearing on the list. You just have to click it for it to work. There are also various settings to optimize the experience. Overall, Logitech Touch Mouse is very usable. For instance, if all you want to do on the PC is to control the media playback, such as play, stop or scroll thorough your folder to the next video, then the app is more than what you need. But if you would like to surf the Internet with it then it becomes a little uncomfortable. You see, while moving the cursor around on the app is very smooth, sometimes you will run out of space to move your finger. 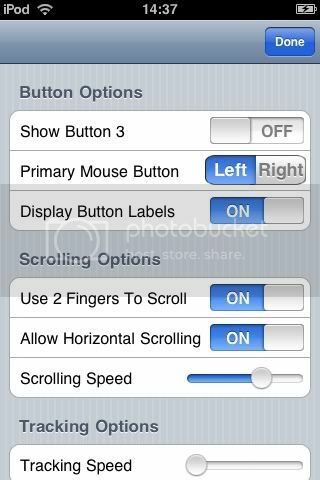 Then like using the mouse, you have to move your finger back to the center of the screen on your iPhone or iPod Touch. 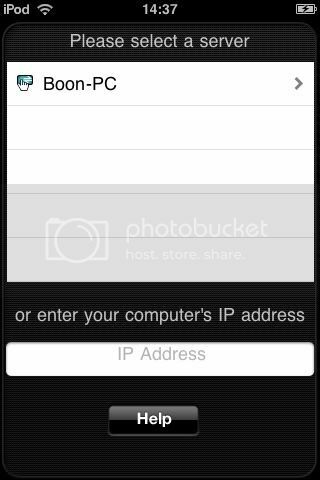 But the action of moving it back gives the app the signal that you are tapping the screen again which result in registering a left click. And you will probably accidentally click on the wrong link when all you want to do is to move the cursor. You can also do a left click just like a mouse. But I find myself looking down at the screen every time to do that. 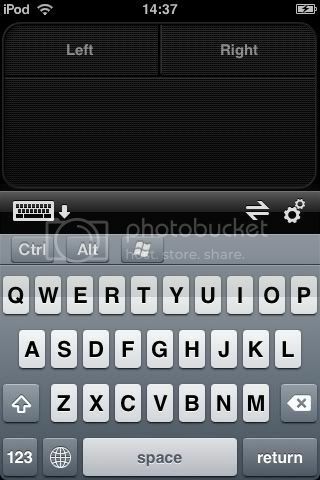 The keyboard is pretty ok to use, just like typing on the device with a little lag. Having said these, Logitech Touch Mouse is still very usable like I say. I mean if it is free of charge the operational troubles are really bearable. Furthermore, the guys at Logitech have included other features to improve the experience. For example, you can scroll down a webpage with 2 fingers swipe. Also for the app to work well, it is important that the Wi-Fi connection is strong on the iPhone/iPod Touch. I do experience difficulties in operating the app when the connection is weak. 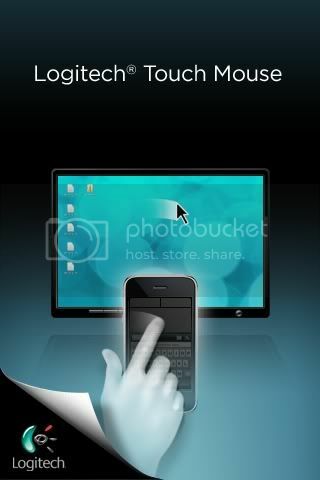 If you are in the market for a wireless remote/keyboard, try Logitech Touch Mouse and you probably got it already in your iPhone/iPod Touch.